Yes, ADHD is a REAL mental health problem - it really is an attention deficit disorder. There are lots of objections to ADHD made below, and they are in BOLD. And my answers follow. At best it was a dialogue, at worst a debate of sorts. In 2000 I was homebound with pneumonia when someone brought me a copy of the Journal of Biblical Counseling with an article by Ed Welch on ADD ADHD. Since I am both a Pastor, and a Family Therapist, they wanted my opinion on the article. My opinions are clear below. Please use this response to the article as a teaching tool - a tool that I hope will both sharpen critical thinking skills, and lay out sufficient evidence for Attention Deficit Disorder to stand as a valid medical problem in the minds of those who wish it were not so. For professional and Christian counseling in Tehachapi or Bakersfield, CA., visit http://douglascowan.me. It was with some interest that I read the article What You Should Know About Attention Deficit Disorder by Edward Welch after having it handed to me by a member of our church. There were elements of the article that were insightful, helpful, and needed to be said in a public forum, especially the discussion of the moral and spiritual dimensions of behavior. For this part of the article I applaud Mr. Welch. 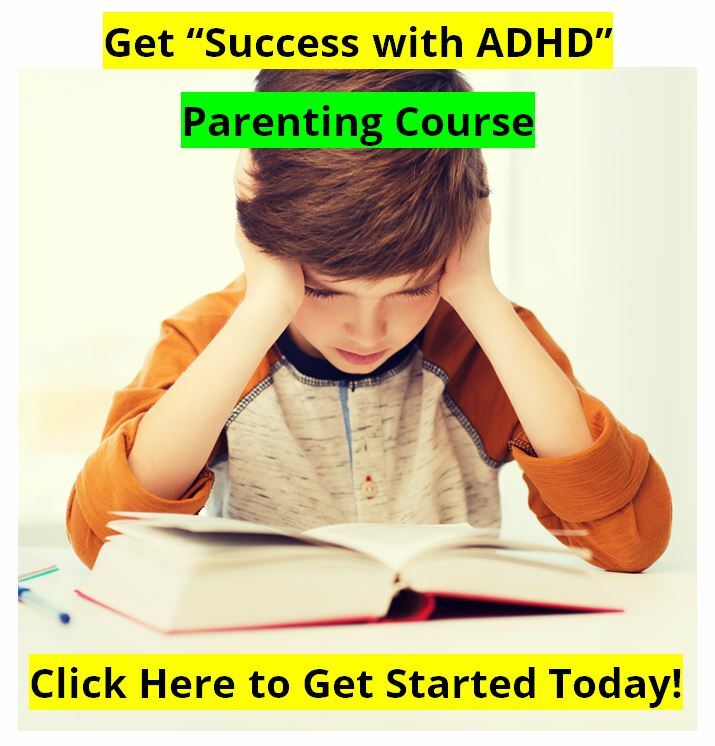 However, Mr. Welch's discussion on the physiological and biological aspects of ADD ADHD was lacking to the point of being misleading to the readers. I am sure that Mr. Welch had no intention of misleading any readers, as that would hardly reflect the "biblical guidelines with which to understand ADD" that he seeks to communicate. Therefore, for the sake of clarifying some details, may I present the following evidence. Perhaps in the near future you would run an article that would present some of this information to your readers, so that they have an accurate understanding of the disorder. This is true. Yet it would be better placed in the context that all Truth is from God, and that there is extensive research data, objective research data, which seeks to discover Truth. Though this data can be incorrectly interpreted and wrongly used, valid research data describes the objective functioning of a system, person, brain, or whatever is being studied. I might say that I have read several books on the biological realities of ADD ADHD, and brain functioning in general, and none of them have claimed "that brain functioning explains every behavior." They do, however, point out the differences in both structure and function of a brain with ADD ADHD, or other disorders, vs. brains without these disorders. It is misleading to suggest that "books (using) a biological approach" make such a claim. Perhaps one or two do, but I am not familiar with any at all. This is a fair description, although a better description would be that their attention is "inflexible." People with neurological difficulties, whether ADHD, head injuries, autism, fetal alcohol syndrome, forms of depression, or dementias, have varying degrees of neurological inflexibility . Neurological flexibility is a sign of a healthy brain. It is the ability to move attention from "global" forms of attention to "specific" forms of attention at will, in a fraction of a second. These various types of attention are objective and observable (with PETS, SPECTs, EEGs, QEEGs, and other technologies). People with ADD have difficulty moving from specific to global, or global to specific, styles of attention. It should be noted that inflexibility of attention is a marker of a neurological problem, though by itself is not diagnostic of any specific problem. This statement is also potentially misleading to the readers . "The ever-present 'often' in the diagnostic criteria." is very similar to the "ever present" "nearly every day" in the diagnostic criteria for Depression. The "often" is simply a realistic description of life for individuals with ADHD. It is not "always" as with a structural head injury. It is "often" because it is the result of neurological mechanisms being "often" under-aroused and "often" under-performing. 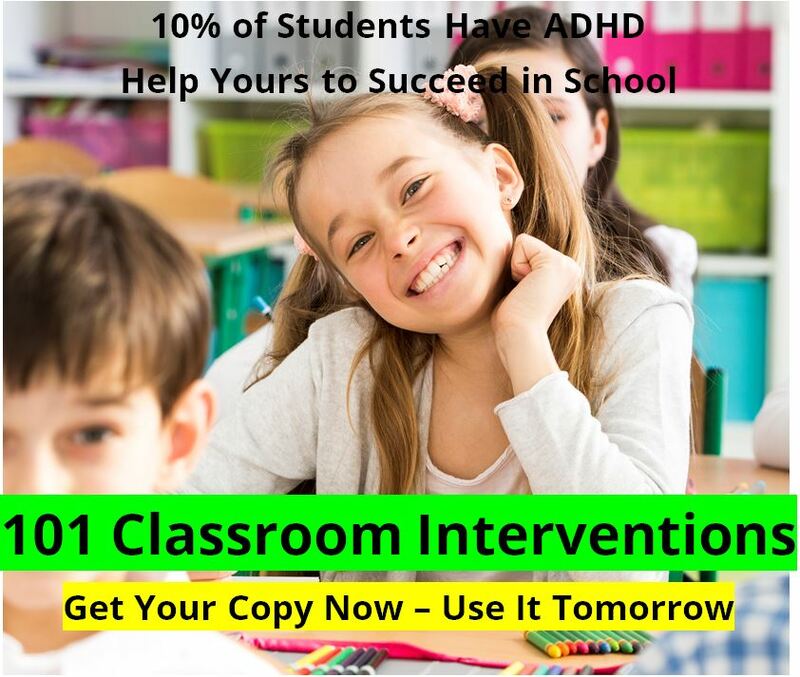 Studies show that about 5% of the population has ADHD. Over-diagnosis, if there is any, is not due to the diagnostic criteria, but rather to a lack of a comprehensive diagnostic work-ups by most physicians. Many physicians are simply lazy or too rushed to make a careful diagnosis. This is misleading to the readers, and simply not true. • There is clear evidence of clinically significant impairment in social, academic, or occupational functioning. The reality is that barely anyone can "squeeze into these parameters." But about 5% of the population does. It is careless to suggest that "anyone. at least on certain days" can meet the diagnostic criteria. It also conveys a negative picture of those who do actually suffer with the condition. Would you publish a statement that read, "Almost anyone can squeeze into the parameters of Alzheimer's - at least on certain days?" I would certainly hope not, and yet it is published in connection with ADHD. This is disappointing. Again misleading, and out of context. "The reason it is important to distinguish between description and explanation is that the ADHD literature typically does not distinguish between them. Most discussions about ADHD assume that the list of descriptions is equivalent to establishing a medical diagnosis." The point is that the purpose of the diagnostic criteria is to establish a medical diagnosis. And the purpose of the diagnosis is for successful treatment and efficient research. "The popular assumption is that there is an underlying biological cause for the behaviors, but the assumption is unfounded. Although there are dozens of biological theories to explain ADHD, there are presently no physical markers for it; there are no medical tests that detect its presence. Food additives, birth and delivery problems, inner ear problems, and brain differences are only a few of the theories that are unsupported by evidence." There are, in fact, biological causes for the behaviors. We cite just a few examples of the research below. But what are these "behaviors" that we are talking about? The "behaviors" of the diagnostic criteria. We are not talking about behaviors with a moral basis such as hitting your sister. We are talking about the specific behaviors of the DSM-IV diagnostic criteria for ADHD. "Although there are dozens of biological theories to explain ADHD, there are presently no physical markers for it;." Just because there are dozens of theories, most of which will prove to be wrong and go away, does not mean that one (or more) of the theories are not accurate descriptions of reality. In fact, research shows that there are several "physical markers" of ADHD. Here are a few articles, both from peer reviewed journals and from the media discussing peer reviewed journal articles, that might be of interest to your readers. They are just 15 studies or articles about the various biological underpinnings of ADHD. Brain scans have identified a clear-cut chemical abnormality in people with attention deficit-hyperactivity disorder, a problem that makes life difficult for an estimated 3 to 5 percent of US schoolchildren, scientists say.. It could be a first step toward a long-sought objective test for ADHD, say researchers at Harvard Medical School and Massachusetts General Hospital. School of Psychological Science, La Trobe University, Victoria, Australia. Two neuropsychological measures of executive functions--Six Elements Tests (SET) and Hayling Sentence Completion Test (HSCT)-were administered to 110 adolescents, aged 12-15 years. Participants comprised four groups: Attention Deficit Hyperactivity Disorder (ADHD) only (n = 35). ADHD and Oppositional Defiant Disorder/Conduct Disorder (ODD/CD) (n = 38), ODD/CD only (n = 11), and a normal community control group (n = 26). Results indicated that adolescents with ADHD performed significantly worse on both the SET and HSCT than those without ADHD, whether or not they also had ODD/CD. The adolescents with ADHD and with comorbid ADHD and ODD/CD were significantly more impaired in their ability to generate strategies and to monitor their ongoing behavior compared with age-matched controls and adolescents with ODD/CD only. It is argued that among adolescents with clinically significant levels of externalizing behavior problems, executive function deficits are specific to those with ADHD. The findings support the sensitivity of these two relatively new tests of executive functions and their ecological validity in tapping into everyday situations, which are potentially problematic for individuals with ADHD. Executive functions and developmental psychopathology. Department of Psychology, University of Denver, CO 80208, USA. Scientists have strong new evidence that attention deficit disorder (ADD)--a condition in which children are hyperactive and have difficulty concentrating--stems from an abnormality in the brain. According to a report in today's Proceedings of the National Academy of Sciences, children with ADD have elevated nerve firing in a brain region involved in motor activity. In addition, the researchers found, Ritalin--the drug most commonly prescribed for the disorder--triggers a surprisingly different biochemical response in the brains of children with ADD than in those without the condition. Reduction of (3H)-imipramine binding sites on platelets of conduct-disordered children . Medical College of Pennsylvania, Eastern Pennsylvania Psychiatric Institute, Department of Psychiatry. Binding characteristics of tritiated imipramine on blood platelets were determined in daytime hospitalized prepubertal children who had mixed diagnoses of conduct disorder (CD) plus attention deficit disorder hyperactivity (ADDH) and in inpatient adolescents who had a history of aggressive behavior. The number of (3H)-imipramine maximal binding sites (Bmax) was significantly lower in the prepubertal patient group of CD plus ADDH; the dissociation constant (Kd) was not significantly different. There were significant negative correlations between Bmax and the Externalizing or Aggressive factors of the Child Behavior Checklist when the CD plus ADDH prepubertal patients were combined with their matched controls and within the adolescent inpatient group. We propose that a decreased platelet imipramine binding Bmax value, as an index of disturbed presynaptic serotonergic activity, is not specific to depression and may be used as a biologic marker for the lack of behavioral constraint in heterogeneous. populations of psychiatric patients. Neuropsychiatric and neuropsychological findings in conduct disorder and attention-deficit hyperactivity disorder. Department of Psychiatry, New York State Psychiatric Institute, New York. Neuropsychiatric and neuropsychological evaluations were performed in a pilot study of adolescents with DSM-III-R disruptive behavior disorders, including conduct disorder (CD) and attention-deficit hyperactivity disorder (ADHD). 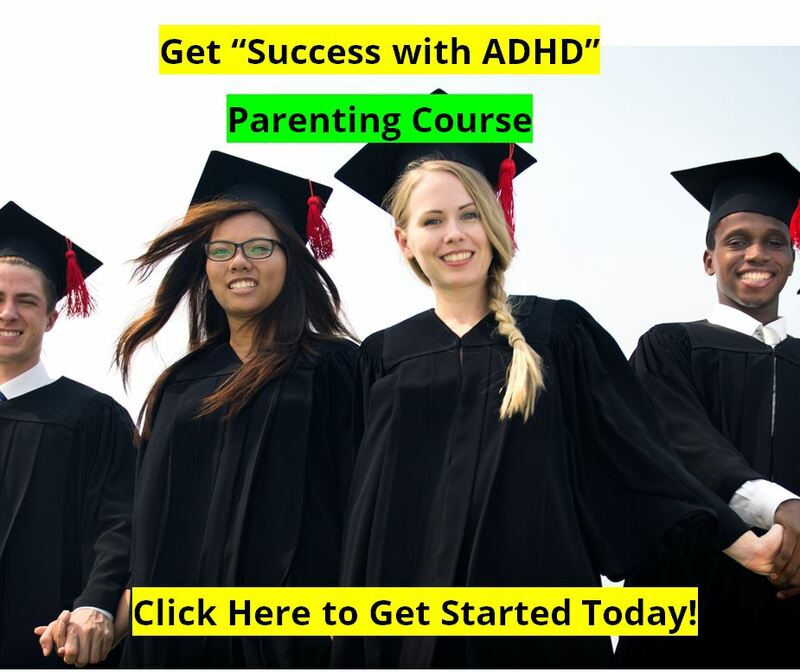 The following comparisons were made: 1) CD comorbid with ADHD vs. CD only; 2) all subjects with ADHD vs. all non-ADHD; and 3) all subjects with CD vs. all non-CD. The CD + ADHD group had increased left-sided soft signs compared with the CD group. CD + ADHD subjects significantly underperformed CD subjects on several executive functioning measures, with no differences on Verbal IQ subtests. Results are discrepant with previous findings of deficient verbal functioning in delinquent populations. Phenotype:Attention-deficit hyperactivity disorder (ADHD) has its onset in childhood and is characterized by developmentally inappropriate degrees of inattention, impulsiveness, and hyperactivity. Epidemiology: In a large sample from the U.S. population, the prevalence of ADHD (male: female ratio) in school-age children was 6.7 percent (5.1:1). Twin Studies: Two small twin studies found that 4 of 4  and 3 of 3  MZ twins were concordant for ADHD. A larger twin study  reported respective MZ and dizygotic (DZ) probandwise concordance rates of 51 percent and 33 percent, with a heritability estimate of 64 percent. Adoption Studies: Increased rates of hyperactivity or a history of hyperactivity have been found among both adopted-away sibs of children with ADHD  and the biological parents of hyperactive boys compared with controls [21, 44, 45]. Mode of Inheritance: Deutsch and colleagues found limited evidence in a small sample  for an incompletely penetrant autosomal dominant single major locus transmission. A segregation analysis of a different data set  also resulted in statistical evidence -- including estimates of transmission parameters that were not significantly different from Mendelian expectations -- for an incompletely penetrant dominant or additive autosomal single major locus . Low penetrance estimates predicted that only 46 percent of boys and 31 percent of girls with the ADHD gene would develop the disorder. Molecular Genetic Studies: A population-based association study reported evidence of an association between ADHD and an allele at the dopamine D2 receptor gene on 11q (p = 0.0003) , but this finding has not been replicated and was most likely an artifact of population stratification. The Tranmission Disequilibrium Test (TDT)  was used in a family-based association study to identify an association between ADHD and a specific allele at the dopamine transporter locus on 5p (p = 0.006) . Another population-based association study found an association between ADHD and an allele at the dopamine D4 receptor on 11p (p = 0.01) . Neurophysiological correlates of Attention Deficit Disorder with and without Hyperactivity (ADD/HD) and effects of methylphenidate are explored using electroencephalographic (EEG) and auditory eventrelated potentials (ERPs). In the first of four studies, a database of ADD/HD individuals of varying ages and matched adolescent/adult controls is presented. Study 2 compares controls and age-matched children with ADD, and children with ADHD on and off methylphenidate. Study 3 examines habituation of the auditory ERPs of controls and children with ADHD both on and off methylphenidate. The relationship between successful neurofeedback training and EEG changes is presented in Study 4. Overall, these studies support a neurologic basis for AD/HD and raise questions regarding the role of methylphenidate in modulating cortical processing. Review of a journal article by Troy Janzen, Ken Graap, Stephan Stephanson, Wilma Marshall, and George Fitzsimmons, "Differences in Baseline EEG Measures for ADD and Normally Achieving Preadolescent Males" Biofeedback and Self-Regulation, Vol. 20, No. 1, 1995, pp. 65-82. Three well known tests (WISC-R, WRMT-R, WRAT-R) were administered to all subjects prior to the main part of the study, a series of cognitive tests performed while connected to a 19 lead EEG cap. There were also differences in the ratios of theta to beta and theta to SMR for baseline and all tasks at all sites, but the differences were significant only for some tasks at the parietal sites. The raw beta and SMR amplitudes themselves were not significantly different between the two groups. The authors conclude that although the number of subjects was small, there were significant differences that could be observed. These findings form a starter set of data for additional efforts. Brain scan images produced by positron emision tomography (PET) show differences between an adult with Attention deficit Hyperactivity Disorder (ADHD) (right) and an adult free of the disease (left). Attentional difficulties in hyperactive and conduct-disordered children: a processing deficit. Department of Psychology, Chinese University of Hong Kong, Shatin, New Territories. A random population sample of 1479 Chinese boys from Hong Kong was screened and diagnosed in a two-stage epidemiological study. Four groups, age 7-8, were distinguished: (1) a pure hyperactive group (HA), (2) a mixed hyperactive/conduct-disordered group (HA+CD), (3) a pure conduct-disordered group (CD), and (4) a normal control group (N). On a visual search task, only the HA children showed a specific processing deficit in performance. This confirms the diagnostic value of such a deficit for hyperactivity, differentiating it from conduct disorder. The failure to find a similar deficit in the HA+CD group raises questions concerning the clinical identity of these children. Each group showed a performance decrement over time in the visual search task but the decrement did not differ between the four groups. This observation is not congruent with the reports of a short attention span in hyperactive children; explanations of this apparent contradiction are considered. The role of genetic factors in conduct disorder based on studies of Tourette syndrome and attention-deficit hyperactivity disorder probands and their relatives. Department of Medical Genetics, City of Hope Medical Center, Duarte, California 91010, USA. To examine the role of genetic factors in oppositional defiant disorder (ODD) and conduct disorder (CD), 38 variables relating to the relevant DSM-III-R criteria, as well as other angry and aggressive behaviors, were examined in 1177 Tourette syndrome (TS) and attention-deficit hyperactivity disorder (ADHD) probands, their first-degree relatives, and controls. Two techniques were used: (1) a genetic loading technique comparing the frequency of symptoms in groups with progressively less genetic loading for Gts and ADHD genes, and (2) comparison of the frequency of symptoms in relatives with, versus relatives without, TS or ADHD. When significant, the latter rules out ascertainment bias and inappropriate controls. For TS, the results were significant with most p values less than 10(-8). The same trends were seen in the smaller number of ADHD families. A polygenic model is proposed in which TS and ADHD alone represent lesser degrees of genetic loading and expression, and TS + CD not equal to ADHD represents a higher degree of genetic loading and expression of genes common to all three disorders. These studies emphasize the important role of genetic factors in ODD and CD. The therapeutic implications are discussed. NEW YORK, Sep 15 (Reuters Health) - Researchers have found a gene alteration that may contribute to attention deficit hyperactivity disorder (ADHD) in some children. The risk levels associated with the new alteration, in the dopamine receptor gene DRD4, are similar to those linked to a previously identified variant of DRD4, the researchers note. Neuropsychological deficits in adolescent-onset schizophrenia compared with attention deficit hyperactivity disorder. National Centre for Child and Adolescent Psychiatry, University of Oslo, Norway. OBJECTIVE: Impaired neuropsychological performance involving abstraction-flexibility, memory, motor function, and attention has frequently been reported in schizophrenia as well as in attention deficit hyperactivity disorder (ADHD). This study represents an attempt to compare groups of adolescents with schizophrenia and ADHD on a comprehensive neuropsychological test battery. Such a comparison affords the opportunity to ascertain differences in the degree, profile, and specificity of impairments. Neuropsychological functioning of adults with attention deficit hyperactivity disorder. Neuropsychiatric Institute, Prince of Wales Hospital, Sydney, Australia. The neuropsychological functioning of adults with Attention Deficit Hyperactivity Disorder (ADHD) was compared to that of healthy controls and individuals with mild psychiatric disorders including attentional complaints. Thirty adults in each group were examined on the Conners' Continuous Performance Test (CPT) and measures of attention, executive function, psychomotor speed, and arithmetic skills. The ADHD group performed lower than healthy controls on most measures. However when compared to the psychiatric group, the performances of the ADHD group were not significantly lower on any of the measures. As you can see, these studies focus on different issues, though most examine either executive functions, or the locations of the brain involved in executive functions, attention, or memory. It would be hard to conclude that because there are several neurological differences in the brains of ADHD individuals vs. non-ADHD individuals, that somehow that equated to there being no neurological differences. "The popular assumption is that there is an underlying biological cause for the behaviors, but the assumption is unfounded. Although there are dozens of biological theories to explain ADD, there are presently no physical markers for it; there are no medical tests that detect its presence. Food additives, birth and delivery problems, inner ear problems, and brain differences are only a few of the theories that are. unsupported by evidence." ". . . there are presently no physical markers for it;"
As shown above, this statement is not supported by research. There are many physical markers for it. One just needs a fMRI, SPECT scan, QEEG, or PET scan, to see them. I have personally performed hundreds of EEGs and some QEEGs, and can attest first hand to the differences in brainwave patterns of ADD ADHD individuals vs. non-ADD ADHD subjects. ". . . there are no medical tests that detect its presence." This is also misleading to the readers. Many, if not most, biologically based medical conditions are diagnosed by the observation and experience of a trained clinician or physician. Many medical conditions have no "medical tests" that detect its presence. For example, I am presently house-bound recovering from pneumonia which has nearly killed me. Until July, 2000, there were no "medical tests" that detect the presence of pneumonia. Just last summer a urine test was approved by the FDA which is between 75% and 80% accurate in diagnosing pneumonia. There are no blood tests, or other forms of "medical tests" to diagnose it. My pneumonia was diagnosed solely on the observation and experience of the physician, after another physician the day before examined me and told me I had the flu. The doctor who made the life-saving diagnosis listened to my breathing and coughing. He observed and interpreted a chest x-ray. Then he made a judgment, a diagnosis, based on observation and experience (not on empirical, objective results from any medical tests), and began treatment. The x-ray, my coughing, etc., gave him evidence of a condition only. He had no "medical tests" (he did not try the new urine test) to tell him if I had viral pneumonia, bacterial pneumonia, or mycoplasmic pneumonia. Yet based on observation and experience he started a course of treatment. The treatment involved the use of powerful medications, and the treatment has so far been beneficial. The fact that there are no blood tests - "medical tests" - to diagnose pneumonia is hardly evidence that I am not suffering from a medical condition. ADHD is also diagnosed by clinicians through observation and experience. The clinician would rely on developmental, family, academic, and genetic histories, behavioral rating scales, and objective testing. There are tests, psychological and neurocognitive tests, that are extremely helpful in making a diagnosis, such as continuous performance tests and other tests of executive functions. There aren't any blood or urine tests - "medical tests" - as Mr. Welch would say. But that does not invalidate the biological basis for the condition. "There are some medical problems that can provoke ADD symptoms. For example, thyroid problems can affect energy level, and hearing or visual impairments can make paying attention difficult." Yes, these are true. But they describe thyroid problems, and hearing or visual problems, completely separate medical conditions which happen to share some symptoms with ADHD. They do not cause Attention Deficit Hyperactivity Disorder. Depression and anxiety can cause symptoms that look like ADD, but they are not ADD. A head injury can cause symptoms that look like ADD, but a head injury is not ADD. The neurological problems that cause ADHD are the cause of ADHD. Mr. Welch is simply unwilling to admit that there is a neurological, biological, physiological basis for a very real condition called ADHD. His position, however, is not supported by the reality presented in the research. "That a stimulant drug would help some children focus seems paradoxical. You would expect that children would be even more physically and mentally excitable when taking it." First, the effects of Ritalin, or any stimulant including caffeine, are not "paradoxical" in ADHD individuals. They are predictable. And they are effective. Two significant contributors to ADHD are a lack of dopamine, or an effective lack of dopamine, in the frontal lobes, and a restriction of blood flow in the frontal lobes. Research supports this. Stimulants, from caffeine to Ritalin, are known to do two things well: increase blood flow, and increase dopamine levels in the brain. Therefore it is not paradoxical at all. One would expect that stimulants would increase performance for individuals with this condition, and they do in about 75% to 80% of the cases. "One thing, however, is clear. Ritalin does not treat any known chemical deficiency in a child's brain." What research supports this position? Why is this "clear?" Ritalin does in fact "treat known chemical (deficiencies) in a child's brain." It does in fact increase the utilization of dopamine. This is similar to other medications, such as antidepressants, used treat other known brain chemical deficiencies such as a lack of seratonin. While it is true that stimulants to not "fix" the condition, this does not take away from its usefulness. Insulin does not "fix" diabetes either. But in the short-term stimulants, like Insulin, works to "normalize" or at least "improve" the situation. To say that stimulants "are not a cure" is true. Insulin is not a "cure" either. But both are helpful. Thank you for your time in considering this perspective. Douglas L. Cowan, Psy.D., M.S.